His car was being driven down a ramp from a flyover when "bullets were fired, one hit the professor in the head and he died", senior police officer Pir Mohammad Shah said. Another bullet struck Auj's junior colleague – whom police named only as Amna – in the arm, wounding her. Auj, a recipient of a presidential medal of distinction, was known for his unorthodox views and was fighting a court case against his predecessor whom he had accused of circulating a text message that called him an apostate. The professor issued fatwas pronouncing, for example, that a Muslim woman could marry a non-Muslim man, and that women need not remove lipstick or nail polish before saying their prayers. Such views can cause offence to some conservative Muslims in Pakistan, which has been battling a homegrown Islamist insurgency for more than 10 years. "We would tell him to be cautious as he was very aggressive in promoting his liberal views regarding the religion," said Prof Tauseef Ahmed Khan, an old friend and chairman of the mass communications department of the Federal Urdu University. A NYT article on this also mentioned that a week earlier "a visiting religious scholar at the same Islamic studies department, Maulana Masood Baig, was also shot dead by unknown attackers". I guess, the targeted killings of sunni and shia leaders are now spilling over to Islamic studies scholars. But an accusatory text-message is just too easy to get someone get killed. Oil is already there, the text message is simply the match. 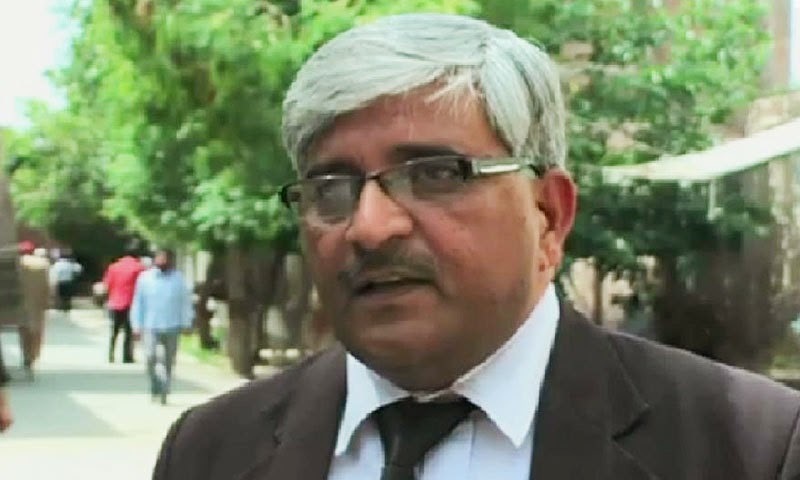 At around 8.30pm on Wednesday evening, Mr Rehman, a well-known advocate and a regional coordinator for the Human Rights Commission of Pakistan (HRCP), was shot dead by two gunmen who entered his office in the city of Multan, apparently posing as prospective clients. 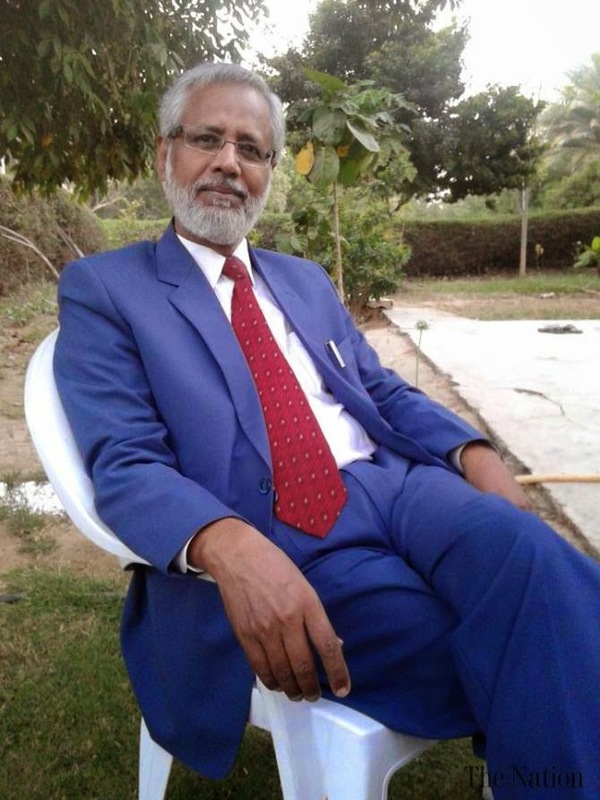 The attack came just weeks after he agreed to defend a college lecturer accused of blasphemy and had reportedly received death threats from other lawyers for doing so. Earlier this year, Mr Rehman, who was 53 and married, agreed to take on the case of Junaid Hafeez, a lecturer at Multan’s Bahauddin Zakariya University who had been accused of defaming the prophet Mohammed on social media last year. Reports said the accusations were levelled by hardline university students who had pushed for him to be charged. Since blasphemy charges were filed against him last month, the police have told him that he can't return home, he can't even be seen in the city where he grew up and worked all his life. It wouldn't be safe. As a journalist, Adil has been a vocal critic of religious militarism. But the threat to his life doesn't come from the Taliban. He is the victim of an everyday witch hunt by Pakistan's powerful religious groups - the kind of witch hunt that's so common and yet so scary that it never makes headlines. For the past 14 years, Adil has been editing and publishing a monthly current affairs magazine, a rare liberal voice in Pakistan's Urdu media. Back issues of Nia Zamana read like a catalogue of human rights abuses. The June issue's cover story, for example, reports on the murder of a human rights lawyer, Rashid Rehman in the city of Multan in central Pakistan. Rehman, defending a literature professor accused of blasphemy, was told in the court by the prosecuting lawyers that if he didn't drop the case he would not live to see the next hearing. Sure enough, Rehman was gunned down in his office before the next hearing. Adil had just published this issue of Nia Zamana when his crusading journalistic enterprise came to an abrupt end - and he was lucky to avoid sharing Rehman's fate himself. waved a book at him that he had published seven years ago - an autobiography of a Lahore High Court judge, titled My Journey to the Higher Court. The author, Justice Mohammed Islam Bhatti, had written that he belonged to the Ahmedi faith - a former Muslim sect that was declared non-Muslim in Pakistan exactly 40 years ago, and whose members have since then been prosecuted by the state and hounded by religious groups with equal gusto. He had then gone on to say some complimentary things about the founder of the faith. "The maulvis ransacked my office looking for more copies of the book or any other material to pin blasphemy on me," says Adil. Police officers meanwhile explained that the group the activists belong to, the International Council for the Defence of Finality of Prophethood, had demanded the registration of a blasphemy case against him. And how easy it is to be offended? The Council is a much feared entity. Its sole purpose is to hunt down Ahmedis in Pakistan and to look for suspected sympathisers. They don't have to work very hard. The laws against Ahmedis are such that there is almost nothing that they cannot be accused of. They have been imprisoned for saying a casual Muslim greeting like "Asslamu aliakum", for printing a verse of the Koran on a wedding invitation, for calling their prayer a namaz and for calling their mosque a mosque. In Pakistan if you want to tarnish anyone in public life all you have to do is to insinuate that they are Ahmedi. Or an Ahmedi sympathiser. "I, the complainant work as a preacher for the Finality of the Prophethood," reads the application for a blasphemy case to be registered against Adil. "I bought and read a book called Journey to Higher Judiciary, an autobiography of Mohammed Islam Bhatti, published by Mohammed Shoaib Adil. I discovered that in many parts of the book serious blasphemy has been committed against various prophets, particularly against Jesus Christ, and the prophet Mohammed. Besides that, the cursed Mirza Ghulam Ahmed Qadiani (founder of the Ahmedi sect) has been shown sitting alongside our Prophet Mohammed. The whole book is full of such blatant blasphemies." The complaint goes on: "Because this book has hurt the religious feelings of all Muslims… the complainant pleads that the strictest action be taken against the accused." The country's top human rights campaigner advised him to stay invisible, adding: "When you come to see me I feel scared for both of us." A powerful senator advised him to leave the country and promised to help him get a visa. Adil still hoped that there might be a way of getting the blasphemy application against him squashed. Justice Bhatti, the author of the autobiography, called fellow judges in the Lahore High Court but there was no response. Then he found a friend who was on good terms with a very influential religious scholar, no less a figure than the chairman of the Council of Islamic Scholars. As it turned out the blasphemy campaign against Adil was headed by the chairman's younger brother. He listened to Adil's plea patiently and then said: "Sorry, I can't help you. My brother is so radical that he considers me an infidel." As Adil waits for the Council activists to call off their hunt or for a country to provide him temporary refuge, there is still no registered case against him. But the police who may one day register this case, the lawyers who would then defend him, the judges who would hear the case, and every single one of Adil's journalist and activist friends have told him that if he tries to resume his former life there is no reasonable chance of his survival. Nobody has given him any advice about the magazine that is his life's work, Nia Zamana, because everyone knows that even going near that office is like inviting death. Police have told him repeatedly that his tormentors have reconnaissance teams - they will find anyone who hangs around there. "I had only one full-time assistant, I have asked him to stay home, never mention that he was associated with me and try and find a new job," says Adil. Although Nia Zamana had a small print run, what made it significant was that it published in Urdu, where liberal voices are now rare. After a series of interviews during which Adil was not sure whether he should tell his story, and wasn't sure whether his well-wishers should be named or not, he made a request. "Is it possible that you write this in English because if it comes out in Urdu and those people read it they'll be even angrier." the degree to which lobbies and internationalists within the u.s. have hijacked the country is truly astounding. all our attention is being focused on war. who is benefiting from this? not the average american i can tell you that.